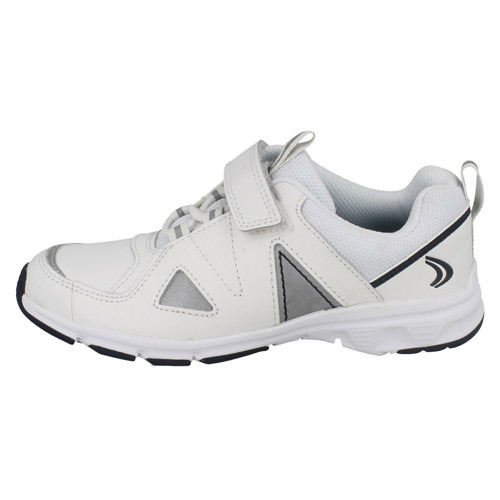 Clarks Pass Club – accentuating the sporty look, this style takes on the runner profile and uses a white leather upper with pops of navy and silver. 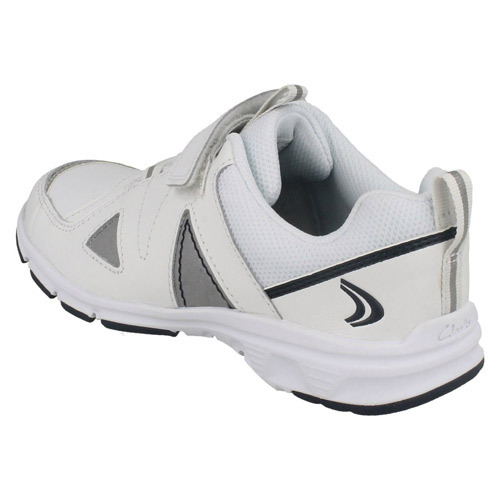 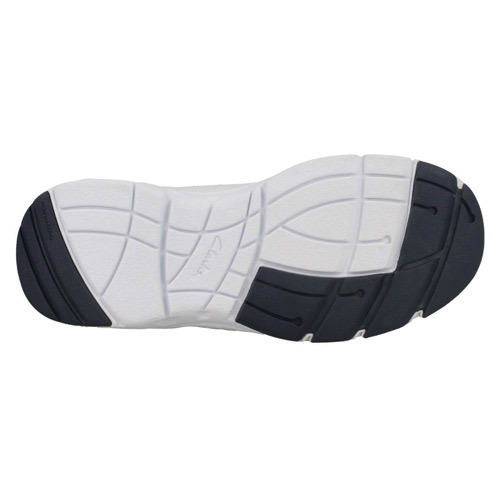 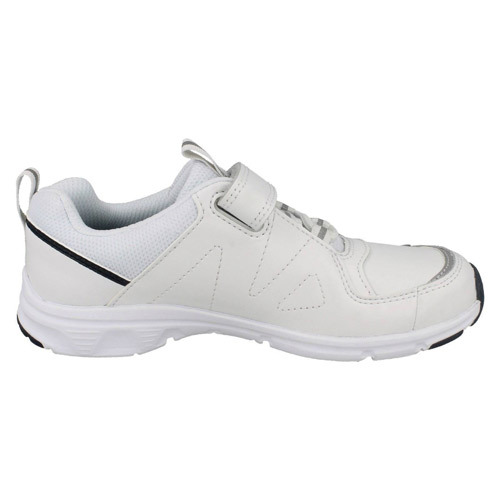 Lightweight and flexible, the sole unit uses an EVA midsole and rubber pads to help with wear. 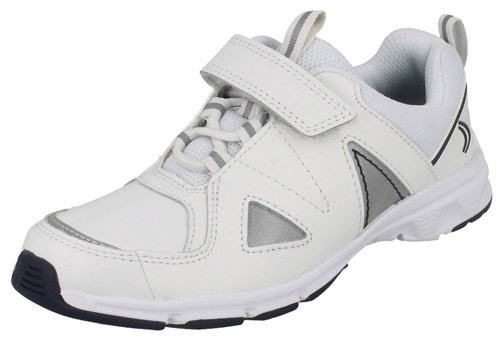 A single riptape strap and bungee lace fastening offers a secure fit, while Agion linings keep feet fresh and reflective panels are a practical finishing touch.